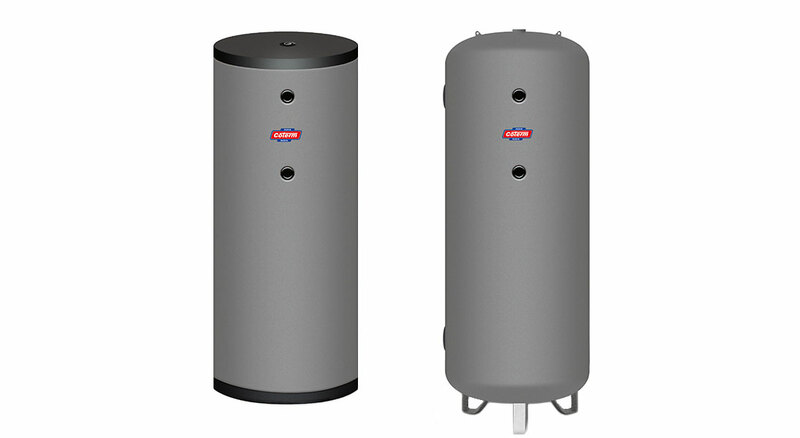 USE: The tanks are used to store chilled water for air conditioning systems. The thermal flywheel function reduces the compressor intervention which increases its life duration. INTERNAL TREATMENT: The tank is made of carbon steel and it is rough because, it only operates on the primary circuit and so it doesn’t require any protection against rust. INSULATION: The insulation consists of CFC-free rigid polyurethane with 30 mm of thickness until 1000 lt., instead, for 1500 and 2000 lt. it is made by polyethylene foam with anti-condensation closed cells, with 20 mm of thickness. The external finishing is in grey PVC to be well placed indoors. On request, the water storage comes with aluminum embossed finishing for external location. Please note: For external temperatures below -2°C, we recommend to add the ethylene glycol according to the system manufacturer instructions. Fill in the form below to be e-mailed the RG SERIES BOILERS technical data sheets. Thank you.